"In eulogy, every sinner becomes a saint." Although Steve Jobs is still with us, and it can only be hoped for a very long time, the recent photo of his emaciated frame being buttressed up on a street corner by a sorrowful associate brought home the extent of his very serious illness. Given this inescapable reality a review of his legacy may be in order: a difficult task when it is considered that Steve Jobs has been the most influential technological/cultural icon of the past quarter-century, and easily the most controversial figure in the history of computing. It is surprising that no movie has yet been made of the early adventures of the two Steves, Jobs & Wozniak, and their creation of the first Apple computer using stone knives and bearskins. The massive success of this cobbled-together computer defied the fact that there were many other similarly adept competitors and quickly became the primary icon of the digitalization paradigm that has shaped our generation. Apple wasn't just a computer company, it was a missionary organization out to change the world. Leading the charge into the future was the young dapper wunderkind with his mop of hair and silly bow ties, who quickly gained a reputation for a brilliance that was matched only by his imperiousness. Brilliance does not necessarily equate foresight, as Jobs essentially ridiculed the Macintosh in favor of the Lisa, a rough application of the Xerox PARC interface that Apple tried to sell at a retail price that exceeded the cost of the average new car. Tech-historians have long debated whether it was Jobs' penchant for money-is-no-object computing development or his factionalization of Apple's departments that led to his dismissal by the board. Regardless, the firing of Jobs and his replacement with John Sculley (Conde Nast Portfolio's 14th worst CEO of all time) drove Apple into laughing stock status in a reign marked by the virtual demolition of the company's famed engineering department; product overpricing to the point of oblivion; and the launch of the Newton, an iPad designed by Fred Flintstone. The tragicomedy of Apple-minus-Jobs culminated in stunning failures such as 1997's Twentieth Anniversary Macintosh, a $9,000 repackaged PowerMac 6500 set up by a direct-to-your-door concierge. When the chastened Apple board begged Steve to return, even buying NeXT essentially only to get him, it marked the most triumphant return since Muhammad re-entered Mecca. 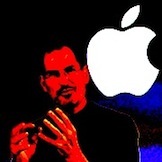 Jobs' legacy is as multiplexed as his creations. His greatest accomplishment may have been the launching of the age of product evangelism, where a group of consumers is so mesmerized by a company's merchandise that they become a volunteer sales force. Today's online marketing is based on that same concept via the imperative to encourage forwarding-to-a-friend. Many Apple evangelists may want to believe that Jobs' creations spring from his head as Athena born from Zeus, preferring to forget that he was always backed by some of the best engineers on Earth. Sure, HyperCard formed the hypertextual basis for today's web, but how many people remember that it was Bill Atkinson's baby and Jobs had nearly nothing to do with it? Steve Jobs' legacy cannot be defined in anything short of volumes, as it must also include his creation of Pixar, an animation production company that conquered the imagination of the world as much as his earth-shaking iProducts. His indelible mark on the lives of the majority of the world's population will not soon be erased. Upon his eventual passing there will certainly be an outpouring of tributes deifying Jobs for his unquestionable accomplishments. Although in life he has never been as eccentric or vexatious as Elvis & Michael Jackson, the other recipients of posthumous pop-cultural sanctity, Steve Jobs is not a technological oracle, a silicon illuminati or an antinomian of iTheology. Before he conquered the world, he was a guy who proved that really smart, hard-working people, in the right place and at the right time, need both luck and skill to make the home runs outweigh their strikeouts. That serendipitous combination may be Steve Jobs' greatest legacy of all. Really? His legacy is also a legion of computer users who don't name files properly, can't figure out how to use Outlook in the office and force the other 80% of computer users to have to accomodate their approach to computing because they refuse to change or do anything that is not the Apple way. All due respect to his marketing genius, but he has also created a following of I-fools. That's quite a strong standpoint, Ted. I guess that's why they call it brand loyalty.